Jeffrey told me yesterday that he wanted to make a special surprise breakfast for us today. He made me keep Bennett closed up in the bedroom until he had finished. 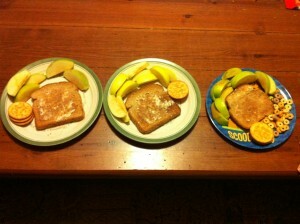 We had cinnamon toast, apples, Ritz crackers, and Bennett had a side order of Fruitful O’s (by special request). Then we went for our daily walk. The boys ended up in front of me. They didn’t know I was taking this picture. Why settle for just one day out of the year? I get Mother’s Day all the time. 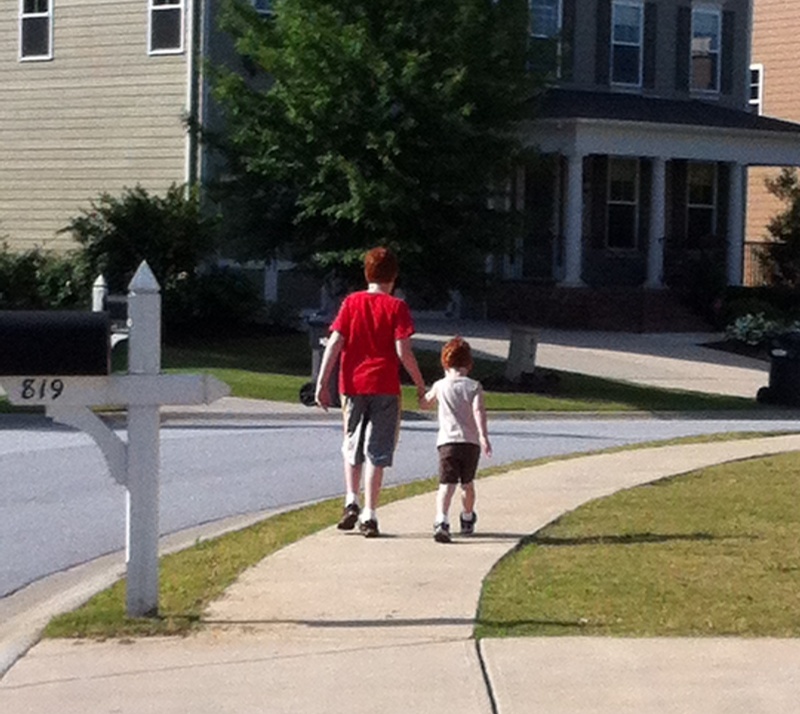 This entry was posted in A Day In the Life and tagged family, Kid stuff by Amanda Beaty. Bookmark the permalink.